For features, opportunities, and other media inquiries for Exterior Medics, fill out the form below and our publicist will be in touch with you shortly. Genuine slate roofs are extremely durable, yet elegant and iconic, as illustrated by the many historic homes and buildings in Northern Virginia and Southern Maryland, with their original slate roof in tact. 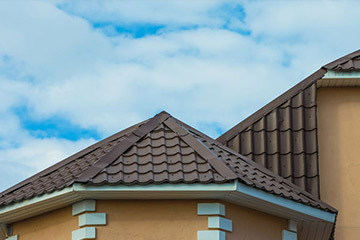 Unlike synthetic slate roof tiles, genuine slate roof tiles are made from fine-grained rock, and cut into uniform sections, which increase their durability and natural beauty. They are environmentally friendly, and do not stain like many synthetic materials. Genuine slate roofs are available in a number of vibrant and muted colors and hues, such as reds, grays, blacks, purples and mottled, solid and variegated greens. 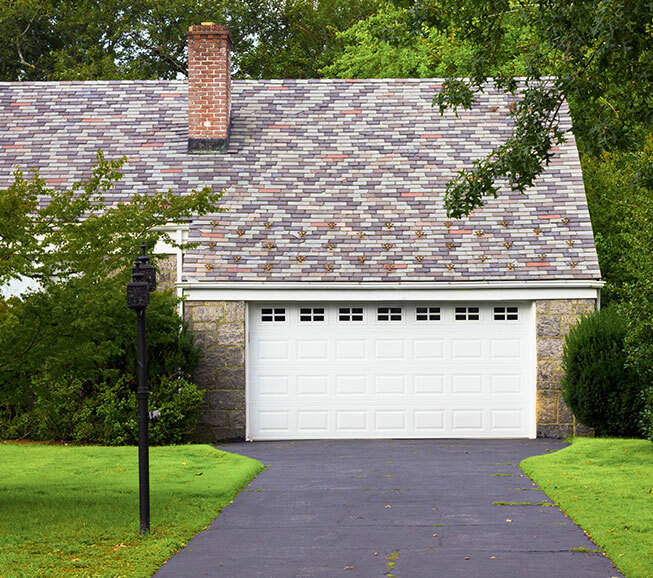 Slate roofing adds distinction and refinement to any home. As slate roofs age, they become more fragile. Extreme caution must be exercised when servicing a slate roof to prevent inadvertent damage. 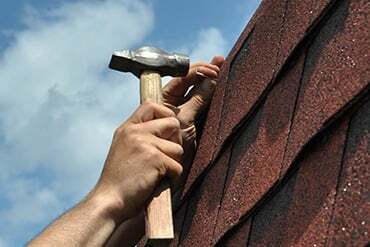 Only contractors with extensive experience with slate roofing should perform maintenance and repairs. Maintenance for genuine slate roofs involves moss and algae control, as well as replacing broken or missing slate tiles as needed. Why install a slate roof? 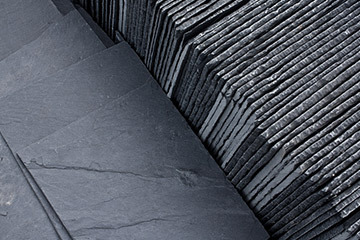 Genuine slate roofing offers the longest lifespan out of all the roofing materials. 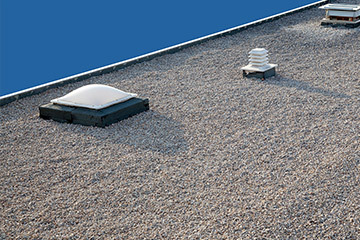 They can last almost up to a century if properly installed and maintained. They're not affected by pests or insects. Genuine slate roofs are tough against all the elements. 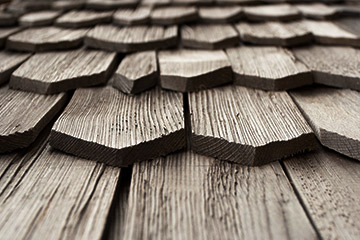 Genuine slate roofs are made of rock, which means they are extremely heavy. Special design considerations must be made to support the weight. 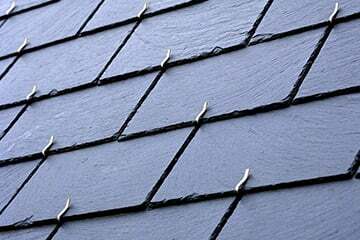 Of the conventional roofing materials, genuine slate roofs are the most expensive roofs to install. 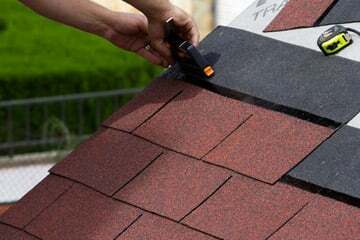 Installing and servicing genuine slate roofs require the experience and patience of genuine roofing professionals. Exterior Medics is proud to be among only 3% of roofing contractors to have achieved the distinction of GAF Master Elite Roofing Contractor, and we’re a DaVinci Masterpiece Contractor Program member. “Exterior Medics” and the Greek Cross symbol are trademarks of Exterior Medics, Inc., registered in the U.S. Patent and Trademark Office.